The neighborhood civic league was not happy that a house had been purchased and would be converted into a home for troubled youths. The Youth Commission insisted that residents of the home will be good neighbors. Representatives from both sides sat at a table inside the Plaza Annex on a February afternoon, presenting their concerns. Voices were never raised, but it was clear that everyone was passionate about the outcome. A calm voice from a third party occasionally intervened. This was actually a dramatization, a “Not in My Backyard” scenario played out as part of a state certification process to become a Level I Certified Mediator. The actors were all Virginia Beach City Public Schools (VBCPS) employees who, by the end of the day, completed 20 hours of basic mediation professional learning. 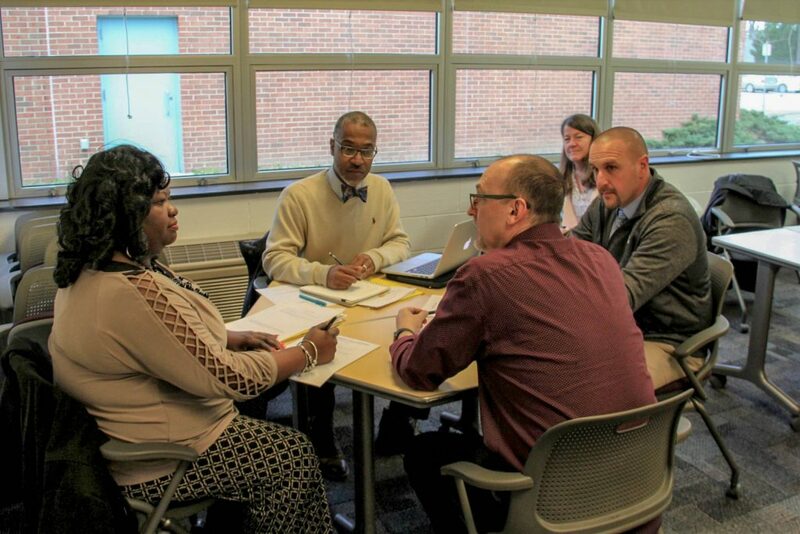 This was above and beyond the three-and-a-half hours of mediation training taken by school counselors, assistant principals and other administrators two years ago. Catrina Manigo, Lavell White, Jason Brooks and Todd Fritz play out a “Not in My Backyard” scenario, practicing their mediation skills as Karen Asaro observes. 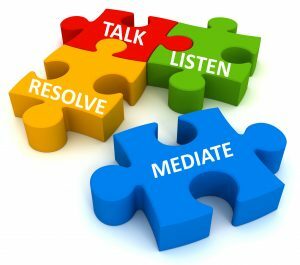 The practice of mediation aligns directly with recommendations set forth by the Student Discipline Task Force and the VBCPS strategic framework, Compass to 2020. Following some co-mediation and observation of real cases in the coming months, each participant will be certified by the Virginia Supreme Court and can mediate in general district court cases as well as neighborhood disputes. Parrott is encouraged by the example the group sets for the division. 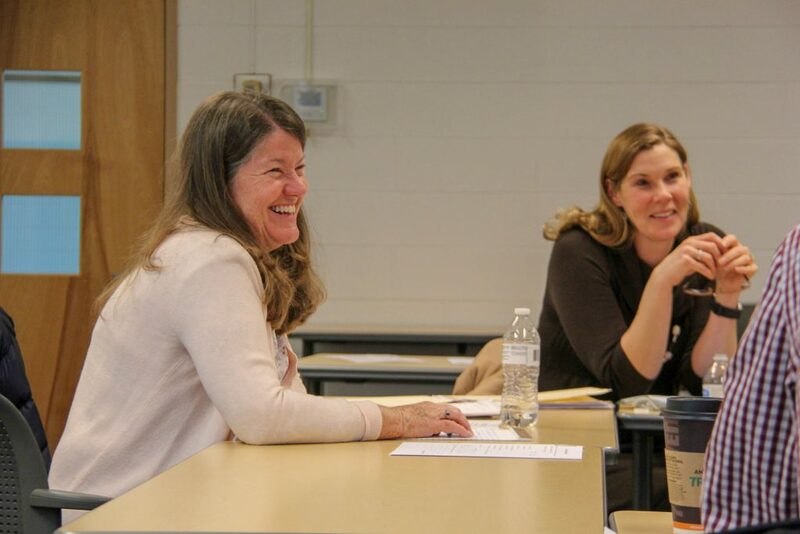 “This cohort supports the ongoing capacity-building around mediation in our schools,” she said. Many participants said they were inspired to pursue advanced certification and recommended any VBCPS employee consider the training. A second cohort is planned for the summer. Karen Asaro, certified mediator, conducted the 20 hours of training.